Tópico em 'Animes sem data de estréia' criado por rapier em 24/01/2019, 14:07. Sinopse AniDB: * Based on a fantasy adventure light novel series written by Kaidou Sakon and illustrated by Taiki. In the year 2043, Infinite Dendrogram, the world's first successful full-dive VRMMO was released. In addition to its ability to perfectly simulate the five senses, along with its many other amazing features, the game promised to offer players a world full of infinite possibilities. Nearly two years later, soon-to-be college freshman, Mukudori Reiji, is finally able to buy a copy of the game and start playing. 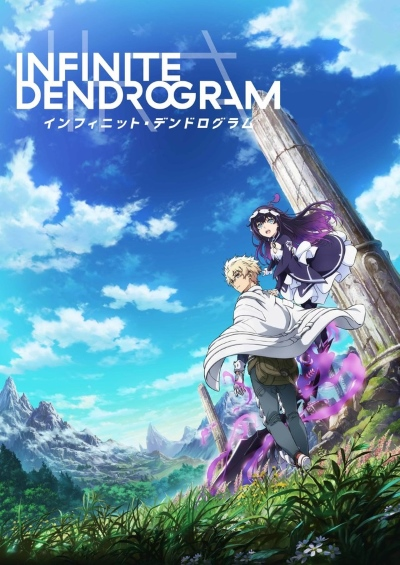 With some help from his experienced older brother, Shu, and his partner Embryo, Reiji embarks on an adventure into the world of Infinite Dendrogram. Just what will he discover and encounter in this game world known for its incredible realism and infinite possibilities? uma versão piorada de dantalian no shoka? Pelo menos não foi dito que ficaram presos no game.